If you receive a lower price from any other source on any boat in our fleet, we will beat that price by 10%. The Bahamas are known for their crystal blue waters that are rich with fish. What they are not known for are safe and reliable charter operations. This 38' Tiara is an outstanding exception. Tiaras are known as some of the finest boats on the water and this one has been converted into a one of a kind fishing machine with a tower and leaning post. Captain is a Bahamas native and has been fishing the waters around Nassau for his entire life. He is fun, personable, and receives high praise from past clients. 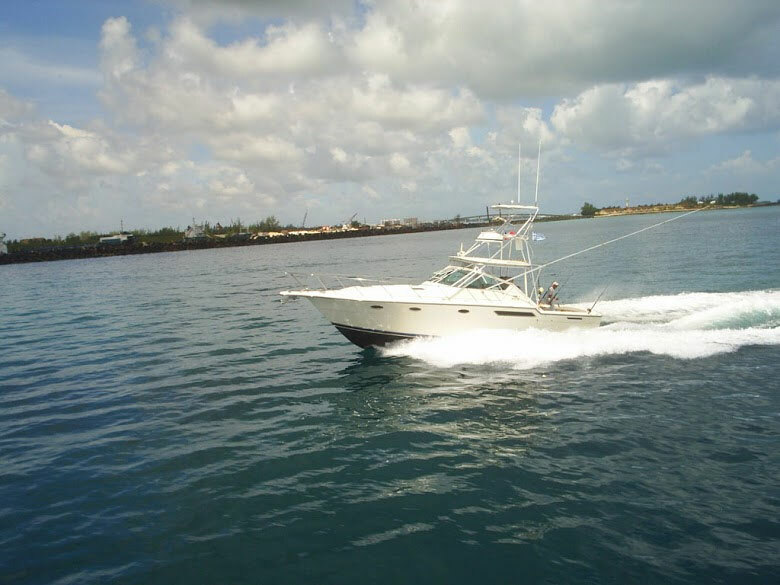 The boat is docked on Paradise Island near the Atlantis resort and is a short cab ride away from the cruise ship docks and most other Nassau-area resorts and marinas.